The Pet Refuge ABC Clinic works closely with many rescue groups who work diligently to reduce the number of feral or free roaming cats. If you are feeding or have feral or free roaming cats in your area, please contact one of the groups below. The Elkhart County Feral Cat Coalition helps spay/neuter cats in Elkhart County only. To receive more information & to view their website click here. Meow Mission helps to spay/neuter cats in the Michiana area. To receive more information & view their website click here. Catsnip, Etc. 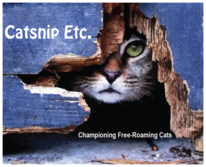 helps to spay/neuter feral and barn cats in Elkhart. They also provide a Rodent Responder service for businesses and barns in search of feral/semi-social cats as mousers. To receive more information & view their website click here.